The best way to stay warm during a Chicago winter? Lots of hot chocolate. It’s the perfect pit stop during a day of exploring the city’s many snow-covered sites. Luckily, the city is brimming with spots to indulge in a steaming cup of cocoa. And none of those powdery packets — this stuffs the real deal. During the summer, this old-school ice cream shop is packed with people enjoying Margie’s classic sundaes, shakes and sodas. 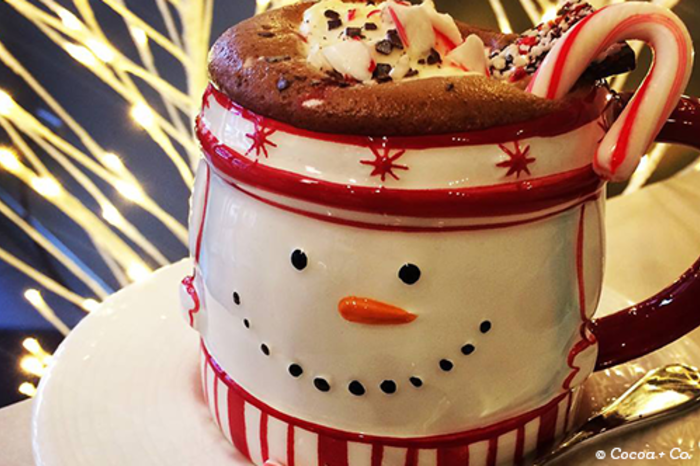 But in the winter, the go-to order is their decadent hot chocolate topped with a cookie and whipped cream. 1960 N. Western Ave. 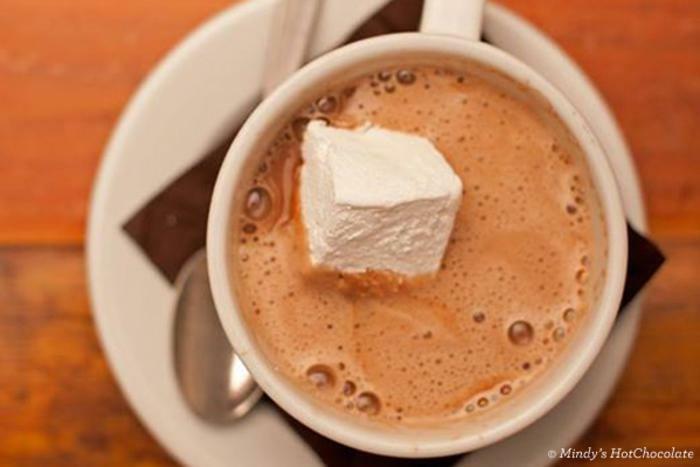 Hot chocolate is the focal point all year round at this hip Wicker Park restaurant. Choose from seven varieties of the sweet drink, like chocolate mint, dark oatmilk or the seasonal pumpkin spice. Each comes topped with a fluffy house-made marshmallow and are available iced. 1747 N. Damen Ave.
Just off The Magnificent Mile, this 100-year old Belgian confectionery takes chocolate seriously. And they blend their hot chocolate with the same precision as their world-famous truffles. 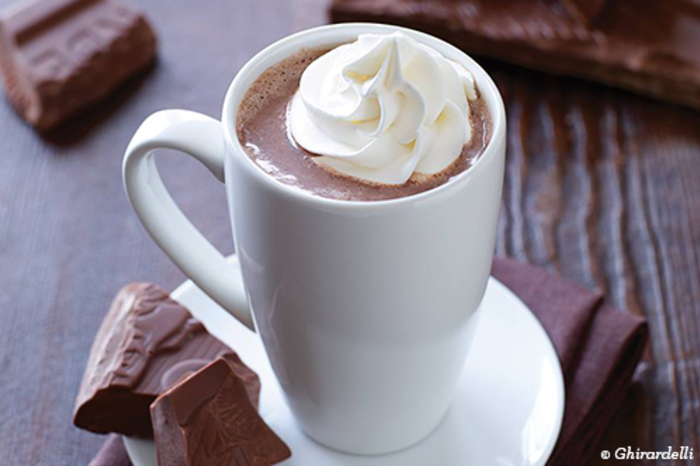 Order the triple chocolate Belgian hot chocolate with a sweet crepe on the side. 59 E. Chicago Ave.
You might have tasted Ghirardelli candies before, but this downtown shop is a whole new experience. Their chocolate-centric menu includes three types of hot chocolate. 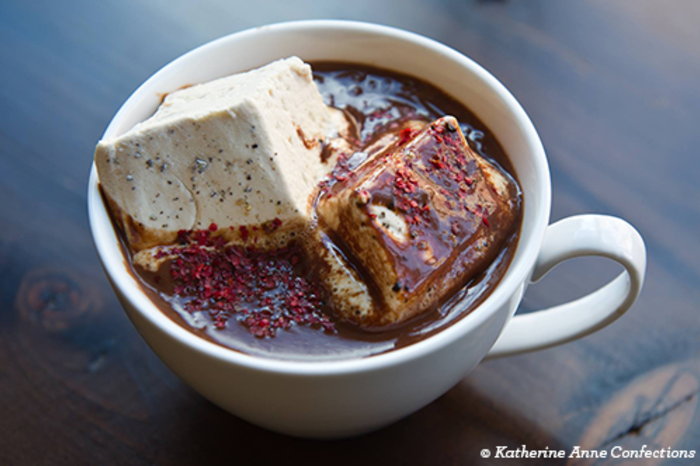 There’s a classic cocoa, decadent drinking chocolate, and sea salt caramel hot chocolate. 830 N. Michigan Ave. This luxe Chicago chocolate brand is known for their exotic flavor combinations. Their gorgeous Lincoln Park store also sells cups of their rich hot chocolates. Try the Parisienne for just the right amount of sweetness, or the Aztec for a hint of chipotle spice. 951 W. Armitage Ave.
A cup of cocoa is the perfect complement to a freshly made pastry at this boutique chocolate cafe. The menu includes an array of thick, satisfying drinking chocolates with flavors like Mocha X’Tasy and Abuela’s Elixir. Or try a frozen hot chocolate for a refreshing spin on the classic. 1651 N. Wells St. If you want an authentic Mexican hot chocolate, XOCO is the place to go. Through their unique bean-to-cup program, all their chocolate drinks are made with fresh-ground cacao beans sourced directly from Mexico. Pair one with a churro for the perfect sweet treat. 449 N. Clark St. The walk-up eatery (located at the window outside Bar Siena) has quickly become a hot spot for must-have desserts in the West Loop. 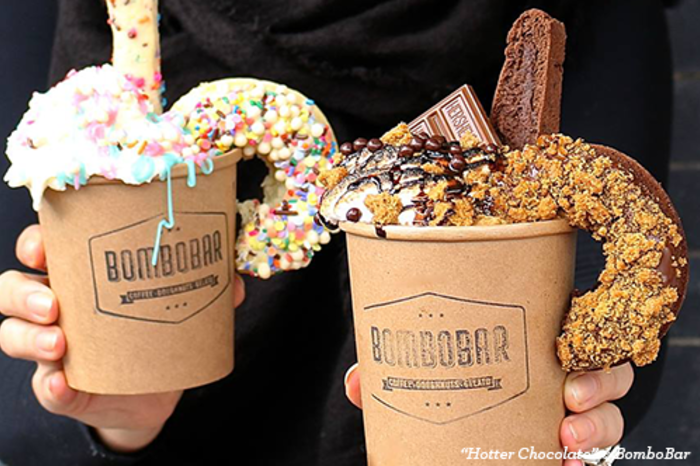 Their over-the-top hotter chocolates are as delicious as they are photogenic. Spike it with a variety of spirits for an extra kick. 832 W. Randolph. Named one of the best places to drink hot chocolate in America, this sweet shop’s signature item is the luxurious drinking chocolate. There are 10 varieties to choose from, plus vegan options, and they come topped with your choice of flavored marshmallows. 2745 W. Armitage Ave.